Jinder Mahal is WWE Champion. This is not a typo. After another boring WWE Championship reign from Randy Orton, it was Mahal who dethroned one of WWE’s golden boys. People love to complain about the same guys who are on top, yet Mahal is someone we have never seen in the position before. They still complain or say, “but we never had an African-American champion. One of the main reasons fans are complaining about Mahal is because they want to only remember him as a member of 3MB. During his time in 3MB, fans complained about him, Drew McIntyre and Health Slater not being used properly. The group would disband after McIntyre and Mahal were released from the WWE. During their time away from the company, Slater seemed to be lost in the shuffle. Fast forward several months, McIntyre returns to the company and is treated like a big deal on NXT, Slater wins the WWE Tag Team Championship, and Mahal is now WWE Champion. Ask and you shall receive, right? So why does Mahal being WWE Champion makes sense? I am not going to get into the backstage politics, instead, I will talk about his character. He put everyone on notice when he arrived at Smackdown and went on Talking Smack and discussed his change of attitude. That moment, if you watched with an open mind, you knew he was a player. Usually, I am not a fan of stealing titles, but when Mahal stole Orton’s, it was hilarious. Not, not just because I am not a fan of Orton, but he got us used to seeing him with it. All of the silliness was simply gone and Mahal put everyone on notice. 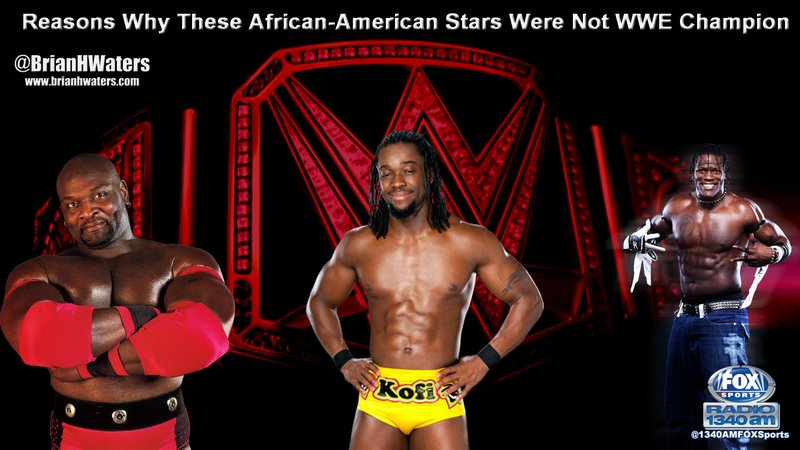 For years, fans, especially my fellow African-American ones, have complained about there not being an African-American WWE Champion. For some reason, Booker T and Mark Henry winning the World Heavyweight Championship was not enough. For some reason, The Rock’s father Rocky Johnson is African-American, but that did not pass on down to The People’ Champ. I have asked for many people to name someone who should have won it. Here are some of my biggest rebuttals. One day, there will be an (another) African-American who will take the company by the throat, grab the brass ring and win the gold, but for now, let us enjoy the era of Jinder Mahal. Check out my WWE Backlash review on @The Wrestling Wrealm.